The Stompa Rondo 5 mid sleeper cabin bed offers under bed storage, a space saving pull out desk and reversible position ladder. 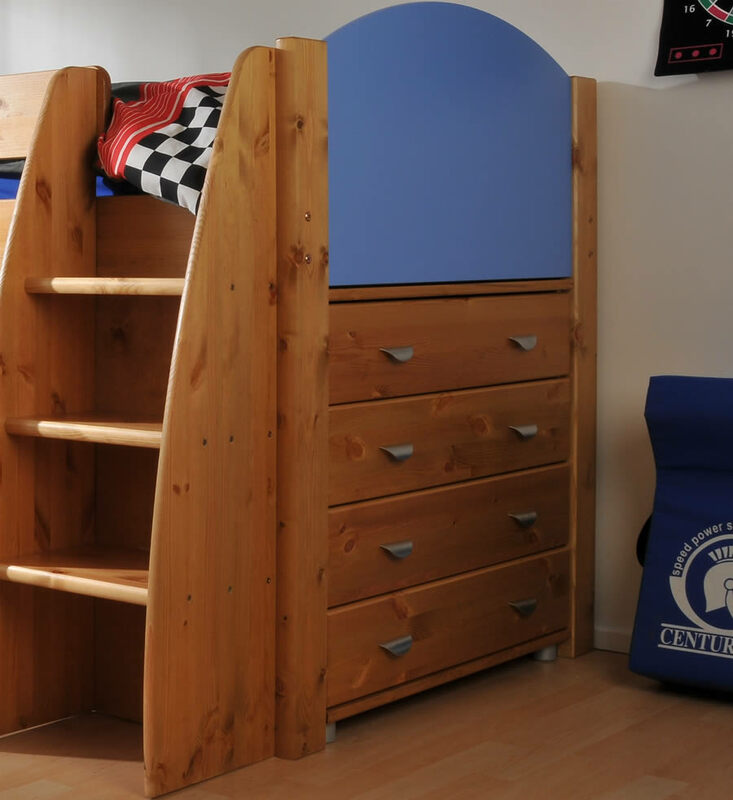 The Rondo 5 Scandinavian pine mid sleeper frame is available in a modern white finish suitable for a boys or girls bedroom. 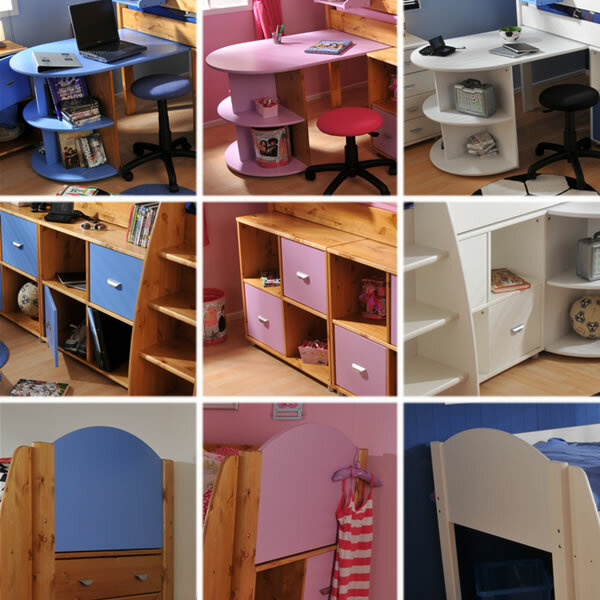 To assist all important study time a space saving pull out desk with rounded end shelves is included, the desk extends 110cm from the bed frame. 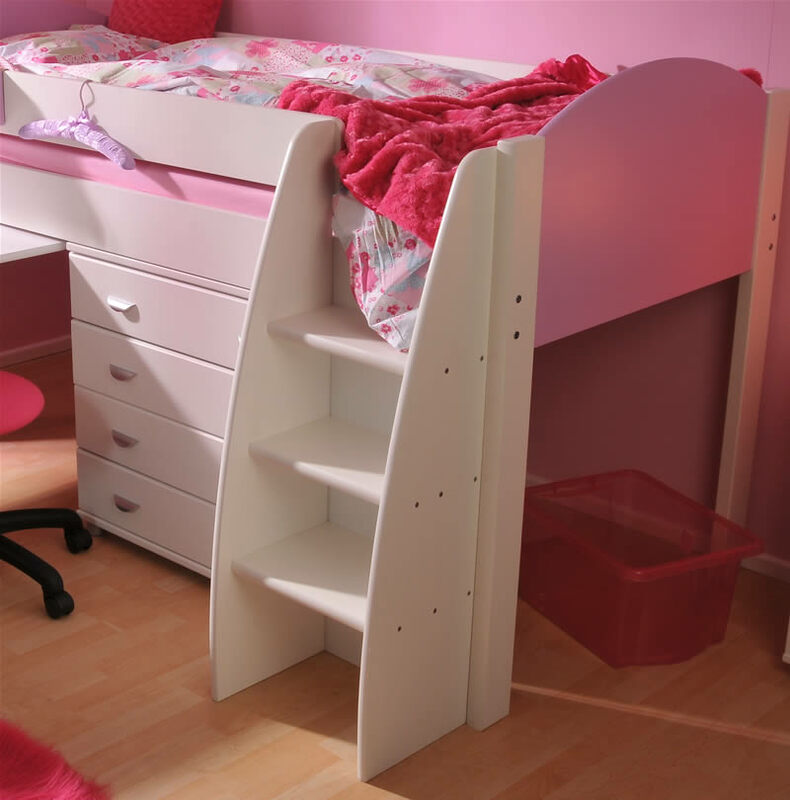 To access the sleeping area a sturdy ladder with 3 deep steps is included and can be assembled to the foot or head of the bed frame. For storage the Stompa Rondo 5 has ample space under the bed and a four drawer chest of drawers in white finish with silver handles. 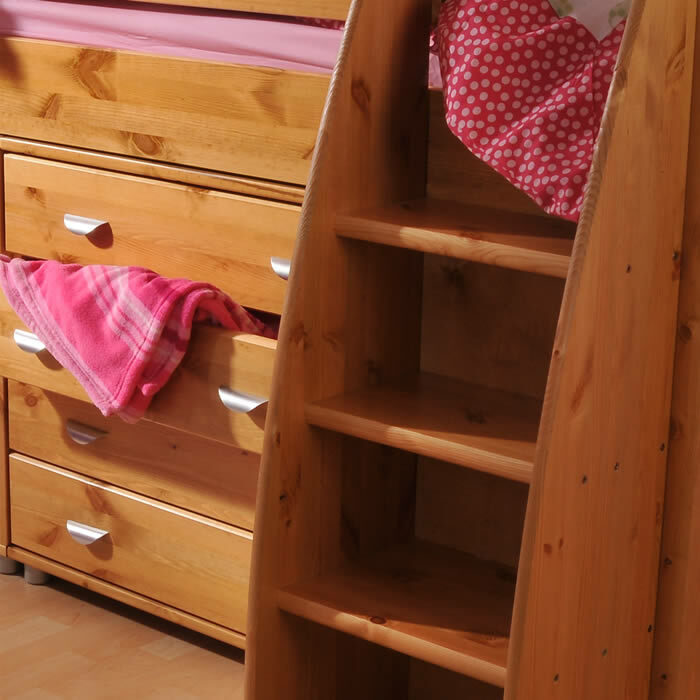 Optional clip on shelves are available in a choice of 3 different colours.